Revcontent has announced its acquisition of the largest European content recommendation network ContentClick. The all-cash deal will enable Revcontent to combine its scale – 150 billion content recommendations per month on exclusive placements – with ContentClick’s expertise in targeting Millennials via mobile-centric content recommendations. 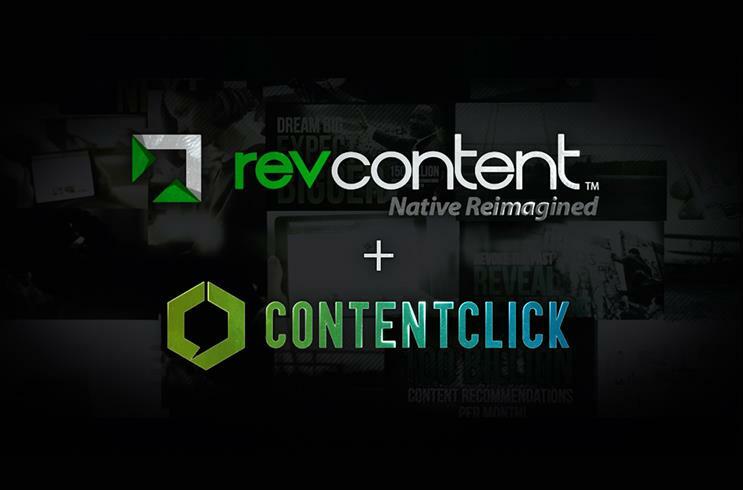 Following almost a year of planning, the acquisition of ContentClick will enable Revcontent to expand its reach and reward creators with greater returns, with the company planning to "reimagine native advertising". Richard Iwanik-Marques, vice president of marketing at Revcontent, highlights the similarities in the companies' core values and backgrounds in digital publishing: "It’s rare to find such a similar culture as Revcontent – our teams coming together is exciting for all our partners, as our reach and resources expanded exponentially." "The ContentClick team has accomplished some great things and created very meaningful partnerships with their clients, built on trust," he adds. "By bringing our industry leading technology into the picture, we now have more reach, scale, and support than ever – and we couldn’t be more excited about growing the Revcontent family." Joe Williams, UK managing director at ContentClick, says: "For two years, our mission has been to deliver unbeatable returns by truly understanding the unique nature of our audience, the sites they visit and the content they consume. It’s a mission Revcontent shares and we’re excited to scale their market-leading technology in the UK." Revcontent's acquisition of ContentClick will see the company open a headquarters office in the UK, with further plans including the launch of new technology tools and improved account management to help grow partners’ brands worldwide.